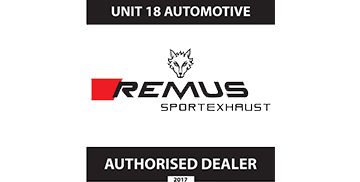 Unit18 are pleased to now offer 0% finance on all of our services. Enjoy vehicle repairs, maintenance & upgrades by spreading the cost over the course of a couple of months or a year. When you are in need of car repairs and replacement or looking to book your car in for remapping services why pay upfront when you can pay in instalments. All of our finance options are based on what you can afford; we ensure all of your repayments are completely manageable. Over 90% of our customers have been excepted for finance, meaning you no longer have to wait for payday to get your vehicle fixed. Get in touch with a dedicated member of the team for more information on our finance options and how you can apply. If you are registered with a UK bank account or debit card, you can qualify for our finance plan. The application process takes no time at all and is normally completed within a couple of minutes, it can either be completed here in the Unit18 garage, or you can complete your application over the phone. Decisions from the finance provider are instant, so you do not have to wait around for the work to be approved. Once the work has been completed by Unit18, you will sign the loan agreement on vehicle collection. You will then hear from our finance provider on your interest-free repayment instalments. You will also receive all of the T&C’s for your financial plan on completion of your application.